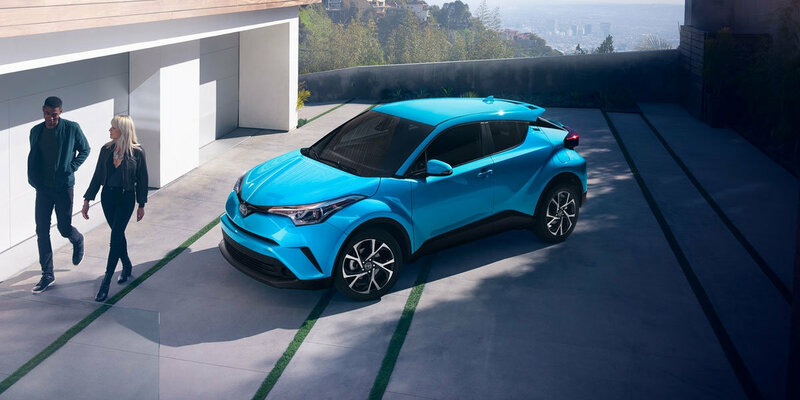 The 2019 Toyota C-HR is making waves in the Subcompact crossover market with its bold and distinctive styling. A sleek diamond-like exterior, LED/Halogen light cluster, 18-inch Vortex-styled alloy wheels and available Ruby Flare Pearl with R-Code Black Roof, give it a uniquely expressive look. Get noticed when you pull up to Whisper Nightclub and Lounge in Downtown Morgantown. 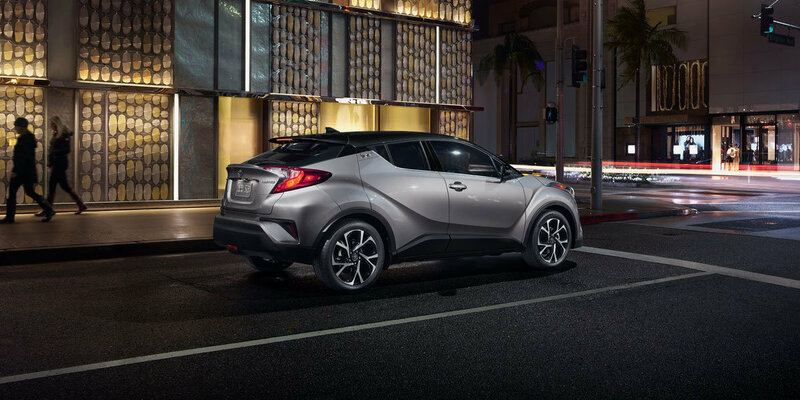 Just like all other Toyotas, the C-HR comes standard with the safety sense suite. That means you have pre-collision braking with pedestrian detection, lane departure alert with steering assist, adaptive cruise control and automatic high-beam headlights! Those are features that the competition makes you pay extra for. 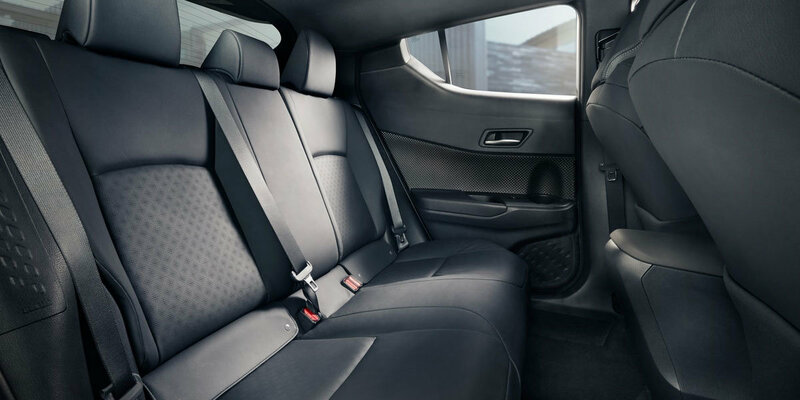 For your convenience, push-start technology, OneTouch auto-up on all four windows and power lumbar support on leather trimmed seats, are all available in the 2019 Toyota C-HR. Oh, don’t forget the reverse camera! One of the biggest changes to the 2019 Toyota C-HR, is the new 8 inch display. Command a slew of multimedia options using Entune™ 3.0 with Audio Plus. Stream your tunes through six speakers using Bluetooth® phone connectivity. Advanced voice recognition allows you to call a friend to say you are on the way, without taking your hands off the wheel. The 60/40 rear seat split gives you a variety of options for cargo space and you've got a 12-volt outlet to plug in any accessories when hanging out at Cheat Lake or camping near Coopers Rock State Forest. 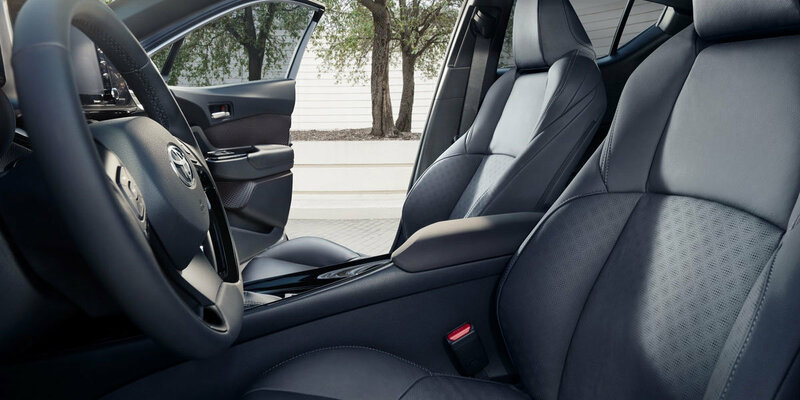 With a 2 liter 4-cylinder engine, your 144 horsepower is routed through a continuously variable transmission and put to the front wheels to get you where you want to go. Fuel economy is rated at 27 mpg City and 31 mpg highway. Hit the I-68 and get out of town for the weekend, without thinking too much about the price of gas. The 2019 Toyota C-HR is a fun and stylish run about. Test drive yours today! University Toyota has a huge stock of new Toyotas waiting for you to choose from. Did you know that University Toyota is also a Full Service Dealer? Call us today at 304-244-3519, your Morgantown Dealership of choice. Instrument cluster screen size: 4.2 in. Instrument cluster screen size: 4.2 in. Instrument cluster screen size: 4.2 in. Infotainment screen size: 7 in. Infotainment screen size: 7 in. Infotainment screen size: 7 in. Includes six speakers, 8 in. Touch-screen w/ integrated backup camera display, am/fm/hd radio, auxiliary port, usb media port, advanced voice recognition, hands-free phone capability and music streaming via Bluetooth® wireless technology, scout gps link compatibility w/ 3-year trial, siri eyes free, apple carplay compatibility, entune 3.0 app suite, siriusxm satellite radio w/ 3-month siriusxm all access trial, safety connect w/ 3-year trial, and wi-fi connect w/ up to 2 gb within 6-month trial. Includes six speakers, 8 in. Touch-screen w/ integrated backup camera display, am/fm/hd radio, auxiliary port, usb media port, dynamic navigation, poi search, and voice recognition w/ 3-year trial, hands-free phone capability and music streaming via Bluetooth® wireless technology, siri eyes free, apple carplay compatibility, entune 3.0 app suite, siriusxm satellite radio w/ 3-month siriusxm all access trial, safety connect w/ 3-year trial, wi-fi connect w/ up to 2 gb within 6-month trial, and destination assist connect w/ 6-month trial.